News about the Samsung Galaxy S III, the next generation Samsung GALAXY smartphone, is spreading throughout the net. Reports say that the next generation GALAXY will have a Quad-Core processor built in it. And most probably it will be unveiled during the Mobile World Congress in Barcelona this 2012. Korean media ETNews disclosed some of the probable Samsung Galaxy S III specifications. The Samsung GALAXY S III (or SGS3) will have a quad-core processor built in it. The processor could be a 32nm quad-core ship based on ARM Cortex A9 architecture called Samsung Exynos 4412. The Samsung Galaxy S III might feature a 4.6 inch Super AMOLED Plus display with a resolution of 1280×720. Definitely it will run on the latest Android 4.0 Ice Cream Sandwich and could support LTE network. It may also feature a 12 megapixel rear camera capable of capturing 1080p full HD videos. A few weeks ago I posted an article regarding Samsung Galaxy Sleek, which could be Samsung’s next big smartphone. Although it is still not confirmed if the said phone is the Samsung Galaxy S III, it could also be the Samsung Galaxy Sleek. Further, reports also say that Samsung is developing smartphones with 3D capabilities. Samsung may call it Samsung Galaxy S 3D. 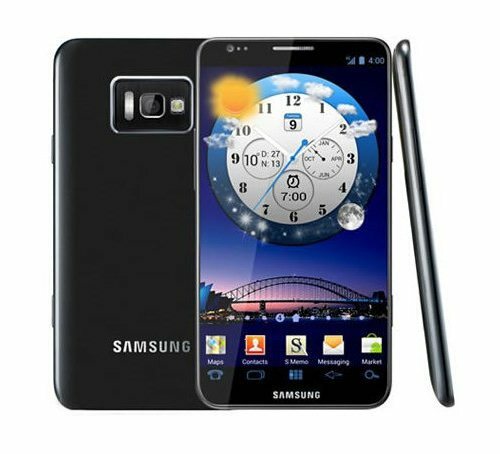 If it’s really the Samsung Galaxy S III, release date could sometime be in the second quarter or third quarter of 2012. Whatever Samsung has for its consumers, we would definitely know it this coming February 2012 in the Mobile World Congress. Samsung Galaxy S III’s price is still unknown as of today. I will post more information about SGS3 when more detailed and reliable information becomes available.